ME 3 dismounted knights with ME 18 in the background. There are 2241 spearmen in the above picture! 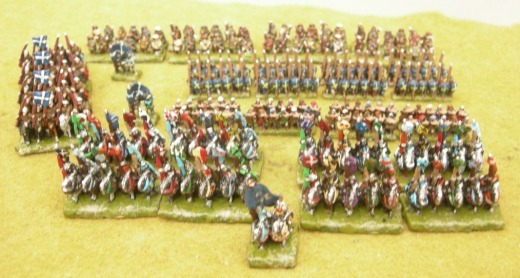 50 Strip (250 - 300 figures; cavalry count as 2 strips) Army Packs, for any of the nations listed above. These discounted armies are pre-packed up to our own realistic and balanced composition. 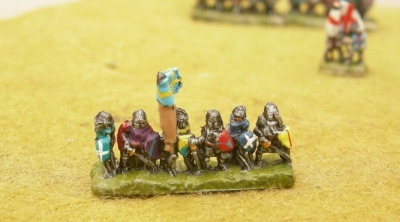 100 years war English army pack.